No Christmas greetings will be displayed throughout Rockhampton’s main streets because of workplace health and safety concerns with working at heights. Councils have been informed that the usual season’s greetings banners are no longer permitted to be hung from light poles. Because of the recent strict controls and the risk of significant insurance claims, the banners are no longer acceptable. Banners will also be prohibited from being hung on the Bruce Highway—the northern and southern entry points into the city.Michael Rowe, acting general manager of community services, claims that the problem has arisen from stricter guidelines by Transport and Main Roads. 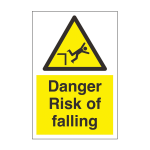 Despite no incidents in the past over the injury of staff while erecting or dismantling banners, it is now considered a liability as it is no longer a safe bet.Corporate event organisers will also be prohibited from setting up banners.Councillors have been informed that the lack of highway banners will be compensated for by an increase in Christmas decorations at other locations. Small festival banners will exist on East St, Quay St and along the Riverside Boardwalk and lights will hang on Morgan’s main street, Keppel Sands, on the council offices in Gracemere, at Queens Park, and various other locations.